Onion | Life's Conundrum - Eat to Live or Live to Eat? 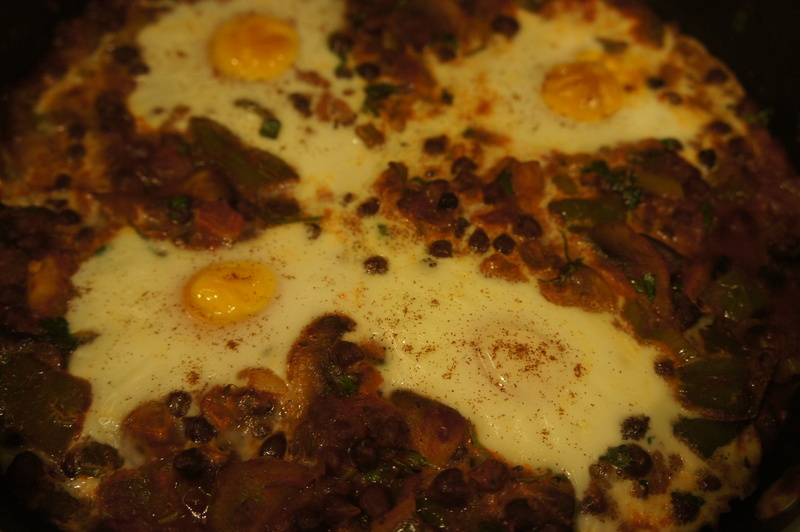 We have been eager to try a baked egg dish for quite some time and the recent purchase of an oven proof frying pan provided the right impetus to experiment. We have come across several recipes with different ethnic twists and interpretations and so here’s ours with Moroccan flavours. Heat oven proof pan and melt butter and olive oil before tossing in the garlic – stir for thirty seconds before adding onions, green pepper and chillies. Cook on medium heat for ten minutes till the onions soften. Add the cumin powder and Ras-Al-Hanout spice mix and stir for a minute. 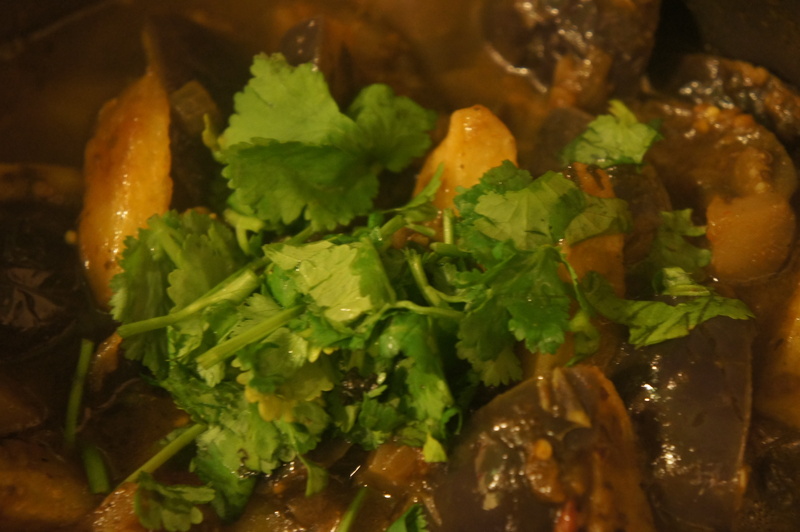 Toss in the sliced mushrooms and cook for five minutes. 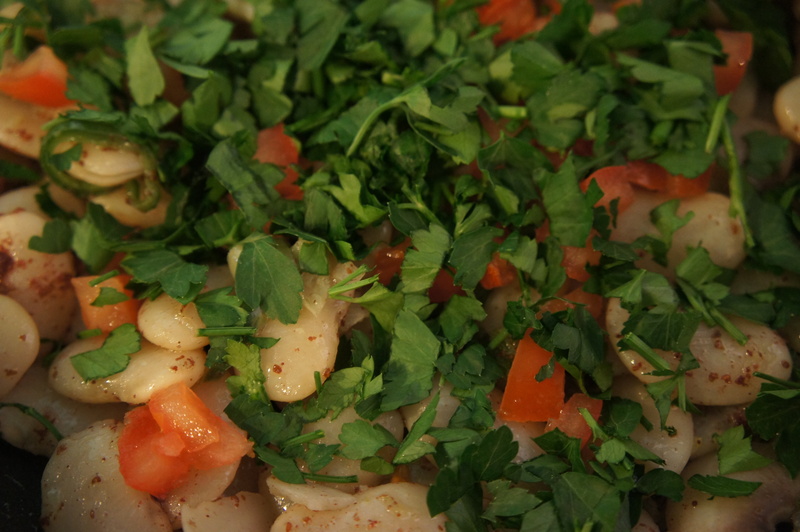 Add the chopped tomatoes, brown chick peas and harissa paste with a bit of water. Continue cooking on low heat for 10 to 15 minutes till the raw smell of spices disappears. 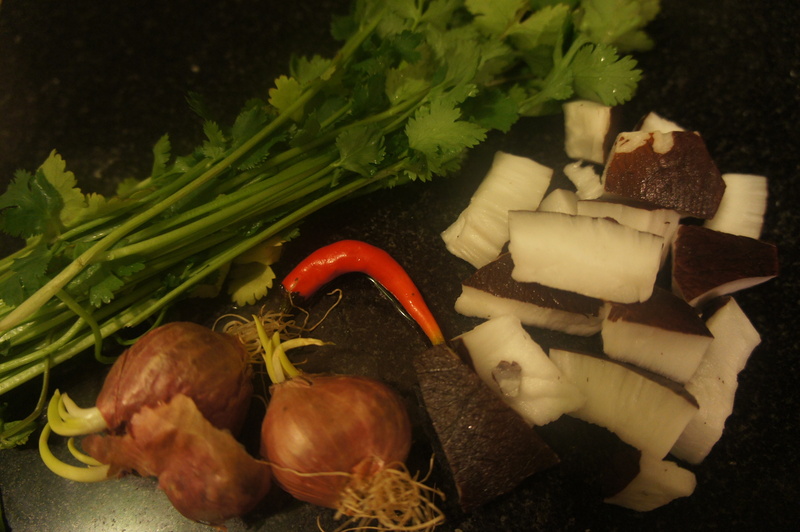 Adjust the seasoning and garnish with fresh chopped coriander. Take off the heat. 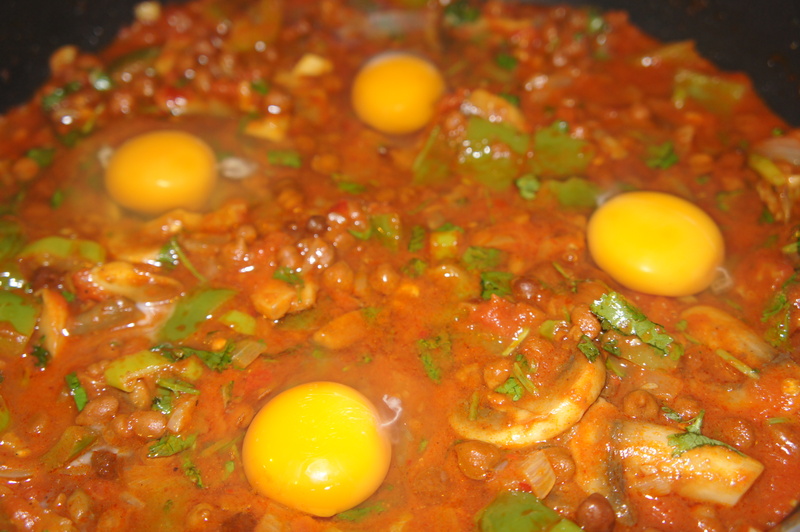 Make four cavities in the sauce and crack an egg into each (ensure you don’t break the yolk). Place the pan in a pre-heated oven at 180 degrees for 15 to 20 minutes till the white is cooked through and the yellow is at your preferred consistency. Enjoy. 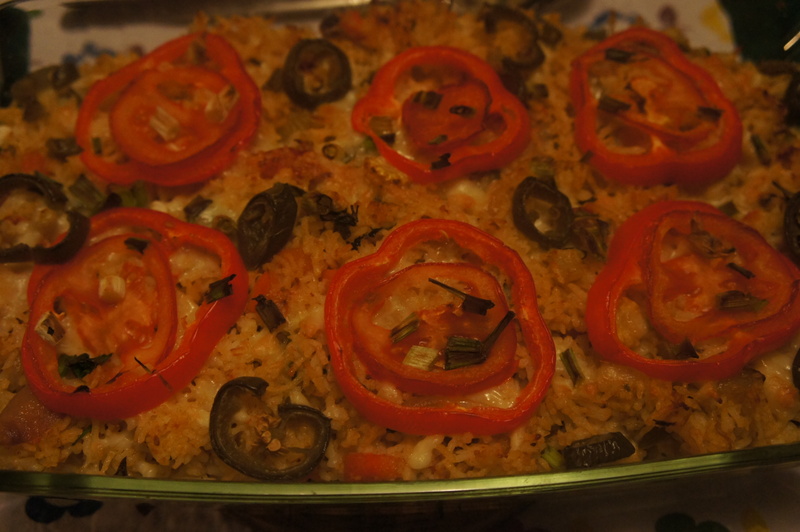 One of my favorite dishes growing up which mom would pull together for dinner parties was her rendition of Spanish rice. Back in those days exotic ingredients were hard to come by and she made do with what was available. I’ve had her recipe with me for 15 odd years and have never attempted to make it once but Saturday night was an opportunity to try it out. We had invited some friends over for dinner and decided to go with a Mexican theme. I have taken mom’s recipe as a base and made a few tweaks before rechristening it gratinated Mexican rice! The dish was a hit with our guests and hope you enjoy making it. First par boil the carrot, beans and baby corn. 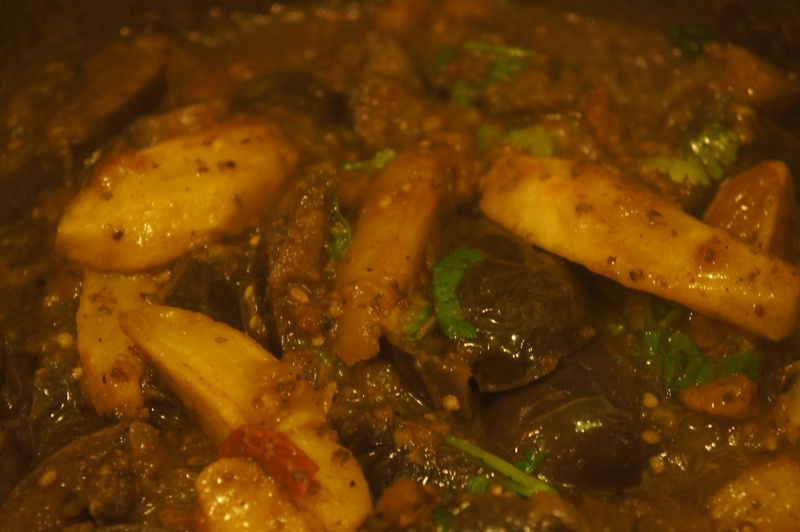 Then heat a wok/kadai, add oil first before sauteing the garlic for a minute. 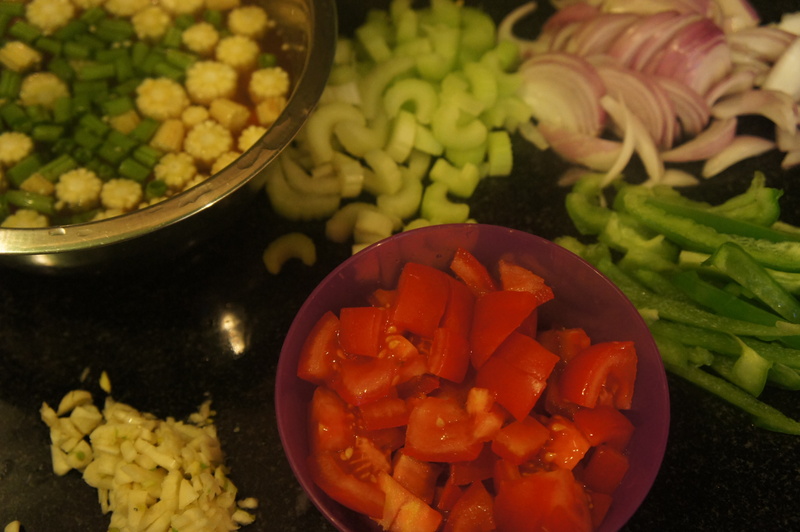 Add the sliced onions, green pepper and celery and cook till the onions start turning golden brown. Add the chipotle paste, sprinkle cumin powder and chopped tomatoes and continue cooking till fat begins to leave the mixture. 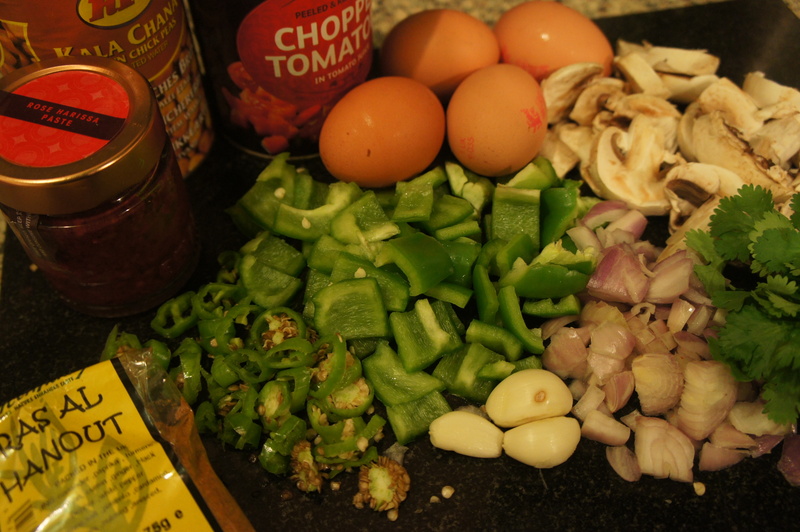 Stir in the par boiled vegetables, adjust the seasoning and cook for another 5 minutes. 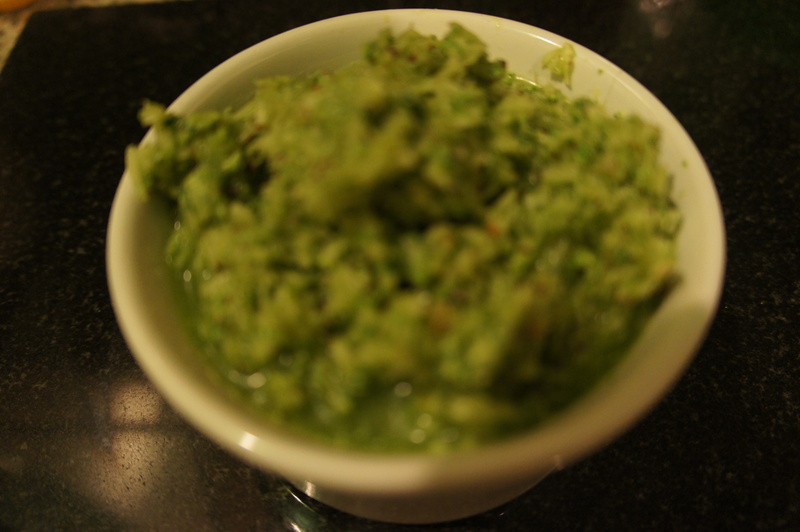 Switch off the heat and garnish with fresh chopped coriander. Once the cooked rice has cooled stir in the masala and prepare the dish to be grilled. Transfer the mixed rice into a large rectangular oven proof dish. Sprinkle the cheddar cheese evenly over the top. Arrange the red pepper, tomato and jalapenos on top of the cheese. Sprinkle the chopped spring onion and grill under a pre heated oven at 220 degrees Centigrade till the cheese melts, bubbles and turns golden brown. Serve with a fresh tomato salsa or mango salsa as we did (1 large ripe mango cubed, 1 red chilli de-seeded and finely chopped, juice of half a lime and salt/pepper to taste). We tried making meatballs for the first time without the obligatory bread crumbs since going on our gluten free journey. 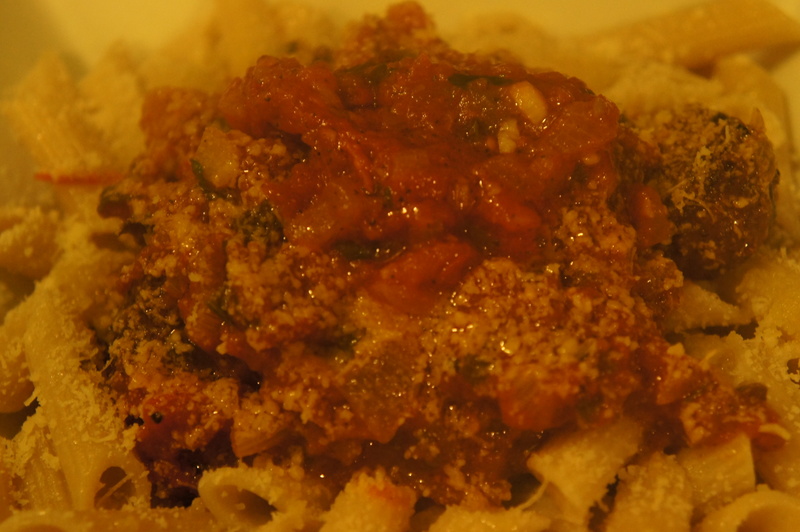 It turned out pretty good as we substituted the breadcrumbs with chestnut flour to act as the binding agent. 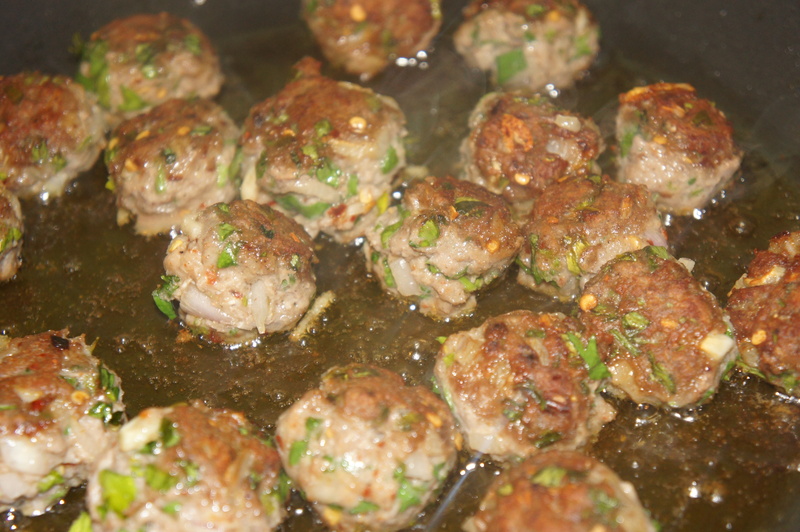 The meatballs maintained shape through the cooking process and tasted great. Place all the meatball ingredients in a bowl and knead together. Roll the meat mixture into small balls (should get around 20) and refrigerate for an hour. Heat a pan with some olive oil and brown the meatballs off before placing them in a 200 degree Centigrade pre-heated oven for 12-15 minutes or till the meat is done. For the sauce, heat a pan, add the olive oil followed by the garlic and bay leaves. 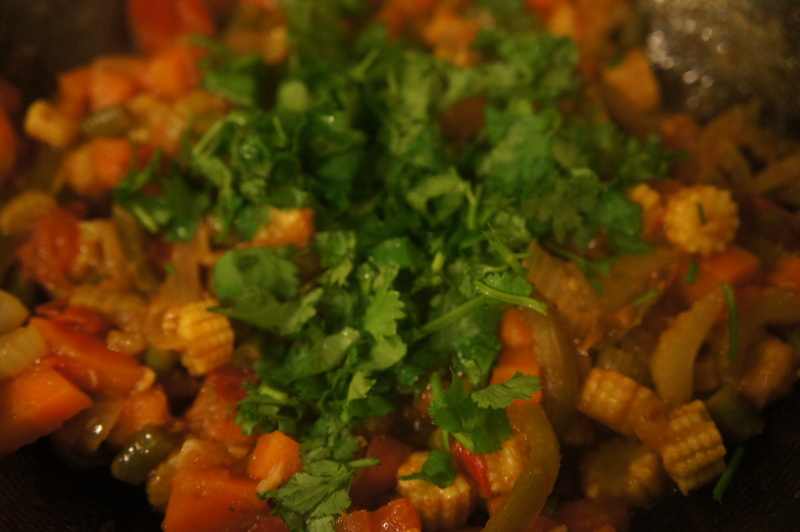 Stir for 30 seconds before adding the onions and green chilli. Sweat the onions for 5-8 minutes before adding the dry and fresh oregano. Pour in the plum tomatoes (if whole crush or chop them first) with a cup of water and simmer over gentle heat for 20 minutes. Add the sugar and adjust the seasoning. Once the tomatoes have cooked through, add the meatballs and garnish the dish with fresh basil and parsley. Pour over your favourite pasta and enjoy. 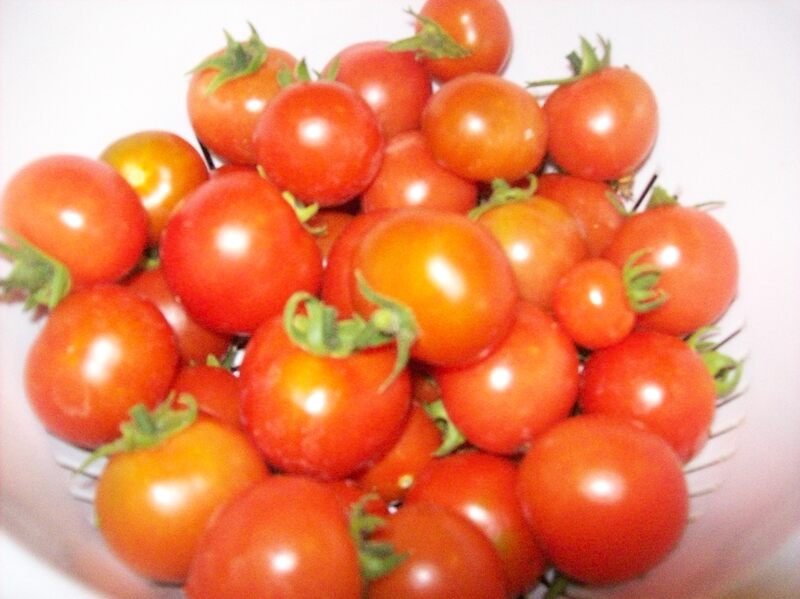 We have been blessed with plenty of tomatoes this year and having used it in our daily cooking for the last three weeks last night was an opportunity to make some fresh tomato soup. There is something to be said about picking vegetables fresh and cooking them as there is a distinct difference in flavour versus supermarket bought vegetables. 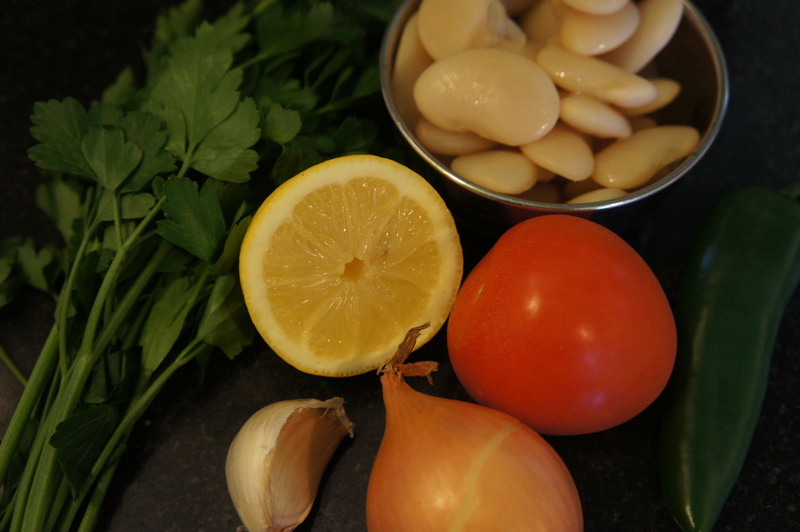 The soup was simple to make and tasted great with a simple pasta starter. Heat the oil in a pan and saute the garlic for a few minutes before adding the onion and carrot. Cook for 5 minutes till the onions appear translucent and then add the paprika and strained tomato. 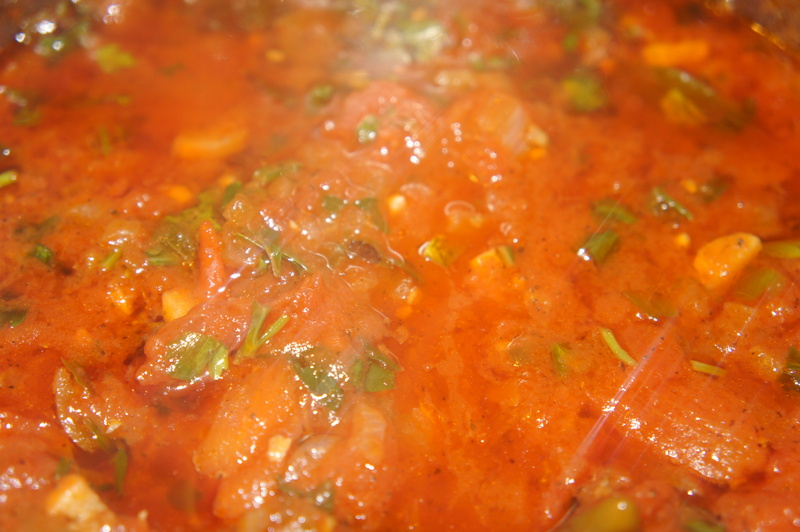 Add a vegetable stock cube with 500 ml water and simmer over a low heat for another 20 minutes. Blend the soup and return to heat. 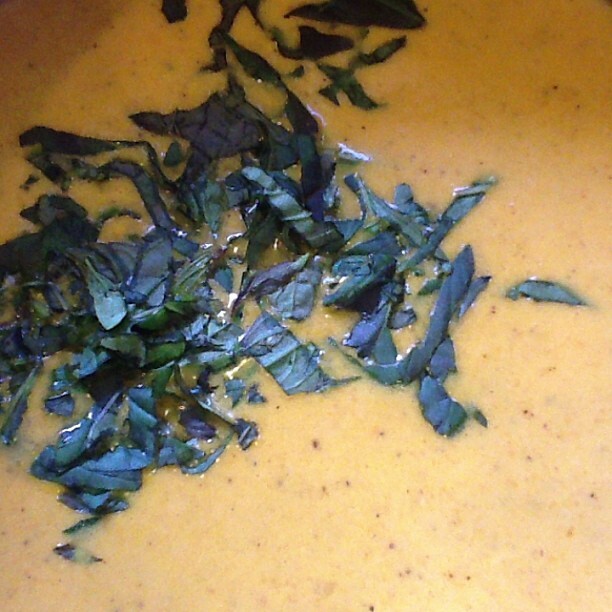 Adjust the seasoning before adding the single cream and chopped Thai basil. Enjoy. Heat oilve oil in a pan and then add the garlic. Saute for a minute and make sure the garlic doesn’t burn before adding the chilli flakes. Stir for 30 seconds and then add the tomatoes. 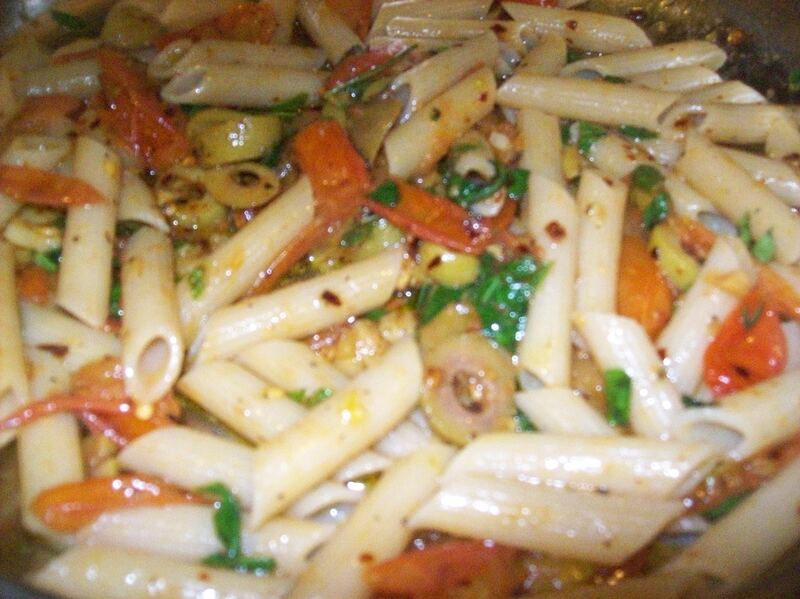 Cook for five minutes before adding the sliced olives and cooked penne. Adjust the seasoning and add the fresh organo and basil. 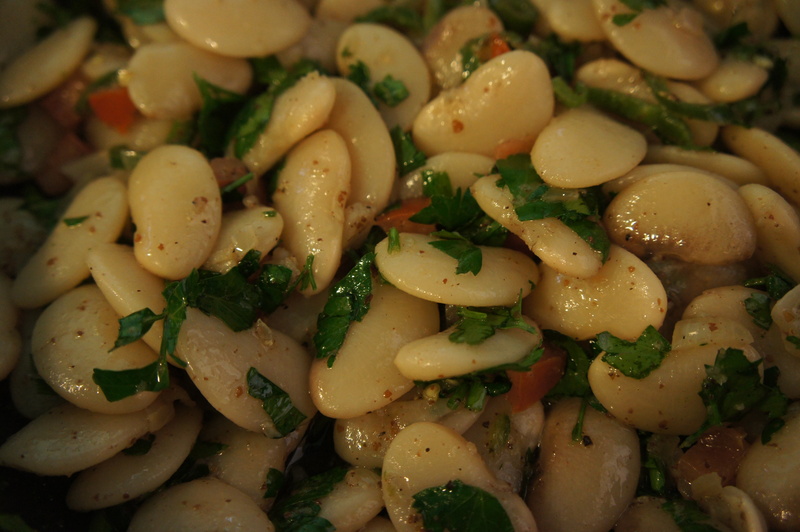 Enjoy as a starter or make a larger portion for a main meal.